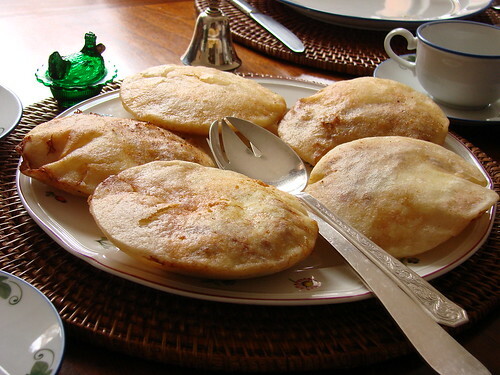 Arepas can be found in Colombia, Venezuela, and Panama and regional variations abound. On a basic level it's a flat, round, pancake of sorts made from cornmeal or flour. Some arepas are thick and sort of poufy while others are thin and crunchy. They can be grilled, baked, boiled, or fried. 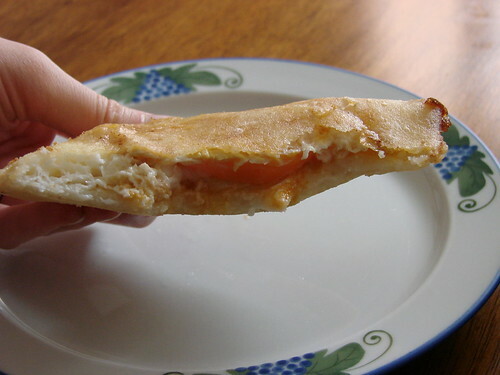 You can put a topping like meat or cheese on top or split them in the middle and stuff them like a sandwich. The arepa con huevo is a twice fried dish from the Carribean coastal region. Made from a special ground cornmeal called masarepa it's first fried and then split, filled with beef and a raw egg, sealed up and refried until golden brown. Lawman's aunt's housekeeper, Faudie, gets up before dawn to grind the cornmeal to make the arepas con huevo that you see here from scratch. The perfectly crisp exterior cradles a runny egg and tender shredded beef. While one arepa with more than satisfy you it's hard not to indulge in seconds and thirds. Faudie is just that good a cook. I've been to a number of the Colombian restaurants in the city both in Queens and Brooklyn and I have yet to find one that serves arepas con huevo. I'm counting down until my next visit to Colombia, but in the meantime anyone know where I might be able to get a fix? Ay yay yay! Muy bueno! 4 & 20's New Fall Pie & Thanksgiving News! Make it an Apple Picking Weekend!